Each year, there are many new drivers in the market given out by manufacturers and golf lovers. Every new product has better qualities and specifications. 90 mph is the mid-range swing speed that carries the distance of 200 to 240 yards, gives 10-12 degrees of loft and has a regular flex. The 90 mph swing speed drivers give you the proper flex which lets you have an easy time making good and solid contact on a consistent basis. This also helps you have an accurate direction and maximum distance of the golf shot. Further, the correct loft of 90 mph swing speed drivers will let you produce a proper launch angle. It is really critical for getting maximum distance, higher trajectory and longer carry. Considering all these qualities that are present in 90 mph swing speed drivers, let’s have an in-detail description of the specifications and reviews for the top 3 best drivers for 90 mph swing speed, and determine which the best of them is. 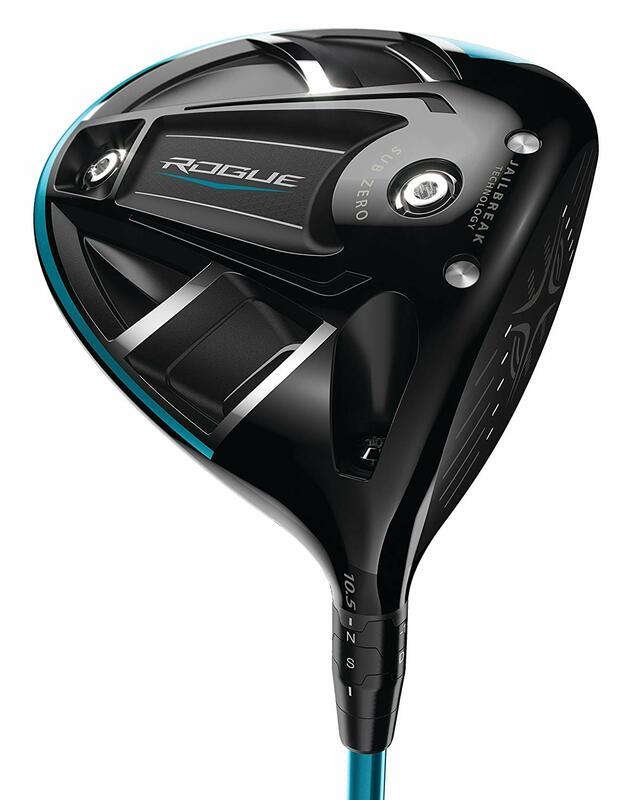 Callaway rogue has been produced by Callaway after a successful year with its former version i.e. Callaway Epic driver. Rogue is there to provide a higher level of forgiveness as the makers claim that it is shallower and deeper. Also, the shot dispersion is 16% tighter which is quite fascinating. It includes jailbreak effect for exceptional ball speed. The combined power of Jailbreak technology and X-face VFT technology has promoted high ball-speed and long distance. It has a triaxial carbon crown which is the most carbon composite surface area ever in a sub zero model. It helps in saving the weight which increases MOI (Moment of Inertia) thus, lowering the spin. It includes two interchangeable weights of 2 grams and 4 grams. They help adjust the spin-rate and launch angle. You can put the 14 gram up front to lower spin, or in the back for higher launch as per you like to play. It further has a new boundary layer at the top-edge of the crown that helps improve the head speed and trip the flow of air. It is available for both left and right hand use. It comes in 9 and 10.5 degrees loft. Its shaft is made of graphite. It has a stiff flex. With all these amazing features, Callaway Rogue Sub Zero has quickly made up to the list of best drivers for 90 mph swing speed. The experts and regular players are quite satisfied with its performance. But, there is a significant feature that Callaway Rogue Sub Zero lacks and should have been added according to the reviews. It is the sliding weight track. The adjustable sliding weight track is an important technology to be included as people look for that before buying a good driver. However, The Callaway Rogue Sub Zero driver has an interchangeable front and back weighting that accommodates the role of adjusting sliding weight track. This directly influences the ball flight trajectory and helps you produce the swing you are looking for. Furthermore, the technology incorporated in Callaway Rogue Sub Zero is so good that its crown is 63% lighter than an equivalent titanium crown. All the weight that is saved here redistributes to increase MOI and raise speed and distance. Also, the Rogue is stretched from face to the back and also, slightly from toe to heel which helps in having a better grip. Most importantly, the hourglass shaped jailbreak bars a spec that you’ll appreciate the most. This feature distinguishes it from all other drivers. Last but not the least, the users have found its new aerodynamic formula to be a must-have for best speeds and distances. It produces softer and generous radius in a way that air stays closer to the driver’ surface and the dragging is reduced. Overall, it is rated 4.6 stars out of 5. There are some other best drivers in the market that are worth a read. Being one of the most wanted drivers last year, PING G400 LST is built with all the impressive technologies that a standard 90 mph swing speed driver should include. It is a very stable, straight-hitting driver that offers great mix of accuracy and spin control. It has a higher-density back weight that elevates the MOI to produce higher forgiveness level and accuracy. Allowing up to +1 degree adjustment of the loft, it is best for nice shots. This added technology creates an ultra-thin crown which helps in saving the weight and optimizing the CG (Centre of gravity) location. Again, this helps increase MOI and raise speed. G400 LST’s aerodynamics and turbulators are its best characteristic. It helps maintain the air flow efficiency and increases head flow. Further, the streamlined shape of G400 LST effectively coordinates with its bold turbulators. This has reduced the drag by 40% mid-downswing and an overall 15% increase in its clubhead speed and ball velocity. This has amazingly added to the distance and stability. The new grain of titanium used to create the clubface of PING G400 LST is not only thinner but lighter as well. Further, it frees more weight to improve the forgiveness and is 20% more flexible. Its CB 55 Shaft stands for Counter balancing, which means the Alta positions more weight closer to head and under the hands and hence, gives more momentum at impact. This has also contributed in increasing the ball speed and carry distance. It comes with a clever paintjob. When you hold it in front of you, it turns copper and when you put the club down, it turns black. It comes with two stock shafts namely Ping tour 65 and Ping Alta CB55. It includes an adjustable hostel. It comes in 8.5 and 10 degrees loft. Its loft changes from +/- 1 degrees. It carries a distance of 275.4 to 297.8 yards. The reviews for PING G400 LST have been overwhelmingly positive at every level. The players have highly appreciated the added sound that is very rewarding and puts a good impact on the game. It has turned out to be both long and forgiving. 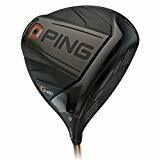 The idea is to get the right shaft for yourself and see PING G400 LST Driver doing wonders. Most customers have really liked having no weight tracks at all which means no wasted weight where it is not needed. Surprisingly, it is rated 5 stars out of 5 and wins in all the categories. It has proven to be best in dispersion, technology, weight and price. Being an overall winner, PING G400 LST is a fantastic low spin option. For any golfer who wants to improve their driving, PING G400 LST is the best choice. Cobra King F8+ is specially designed to have more accuracy besides greater distance. 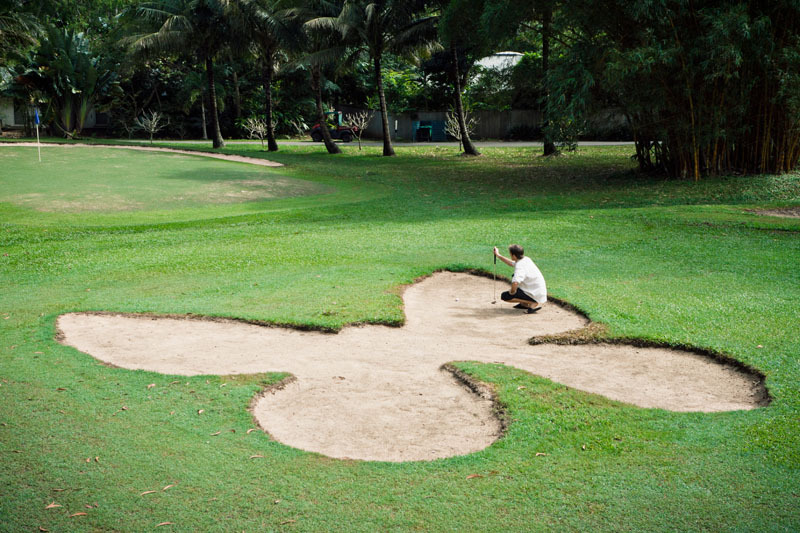 The makers have put in quite some efforts to create a flat face. It gives a good loft range and lighter weight. Cobra King F8+ comes with hand-polished face. Even in this era of machines and industrially manufactured items, Cobra goes for hand-polished face shape of its F8+ driver which adds to the value and performance of the driver equally. 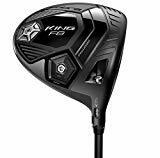 Its head is created to be 3% thinner and 10% lighter than former Cobra King Drivers. This tech is so complex that there are there different angles of curve from toe to heel that give out amazing launch. Unlike other drivers having constant roll radius, Cobra King F8+ comes with Dual Roll Technology which utilizes different curvatures on top and bottom of its face for optimized launch and spins. 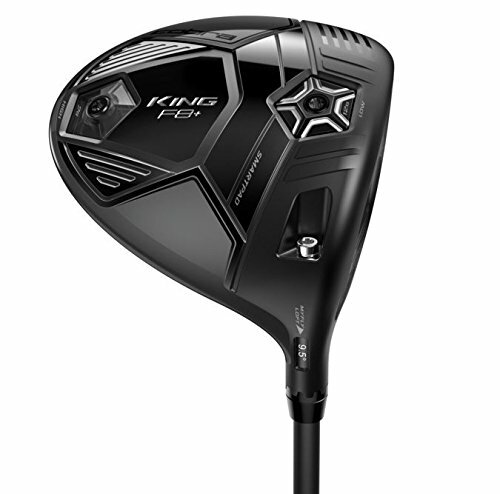 The innovative crown and sole aero trips have improved the aerodynamic performance of Cobra King F8+ driver. It helps getting faster clubhead speeds and maximum distance. Further, its streamlined shape has reduced the drag especially in areas of the swing where speed might be lost. So, its aerotrips are positioned in a way that they balance the airflow, speed and drag. It provides enhanced stability and feel in ultra-lightweight shaft. This feature makes it ideal for medium swing speed with a consistent performance and tighter dispersion. It is a mid-weight ideal shaft for mid to high swing speed. Therefore, it gives a combination of medium trajectory and medium spin. It is a heavier weight shaft for ideal low trajectory and low spin. Its high bend profile feature delivers increased control for high swing speeds. It has a stouter and heavier profile and features a combination of low trajectory and low spin, which gives off great dispersion. So, it can be said that Cobra King F8+ driver is first of its kind to have a CNC Milled face combined with Dual Roll and 360 aero technology. All of the modern drivers come with aerodynamic performance, ball speed retention, forgives, optimization and greater dispersion but none had the CNC Milled face that is a great key for hitting shots faster, further and straighter. It has a front/back CG adjustability. It has four different shafts to choose from. It has an ultra-light carbon carbon-fire crown. Its loft ranges from 9 degrees to 12 degrees. According to the players, it is the lower spinning driver and comes in a more compact 440cc head. Its steeper and squarer face is very pleasing to the eye. Also, it gives straight and long shots. Its front and back sole weights help in delivering lower spin rates for high swing speed players. Moreover, its Carbon Fire, the most valuable crown material is the great surprise to the players which is light-weight and only is five layers thick. According to most golfers, this helps in freeing the inefficient weight which can be put to a better use to improver forgiveness and stability. It has given great performance in the test field and none of the players expressed disappointment. For hard hitting golfers who need help in controlling the spin, Cobra King F8+ is a powerful choice. Overall, it has been rated 4.5 stars out of 5 and is strongly recommended. The abilities of dispersion, MOI, shape, adjustability and handling must be taken into account while choosing a golf driver. Also, it must be cost-effective or at least, the price should be worth the qualities it has to offer. All of the three above mentioned drivers for 90 mph swing speed are winners. Before buying one of them, you have to consider your needs and level of expertise. What makes the drive best is its custom fitting. Once you buy the driver, the next task is to get it fitted according to your use. Another thing that plays important role in performance is choosing the best and suitable shaft. Not all shafts are designed for low swing speeds. Some provide medium swing while others give higher swings. Choosing the best shaft is the real key to win the game. Furthermore, experience makes the best players. Over time, you will get to know what suits best with your mode of playing and what qualities you like to have in your driver. Be consistent in your practice and you will eventually be a top golf player.